In an increasingly competitive world where the key to survival is how well you can disrupt the market you operate in, every employee has to make a positive contribution to helping you reach your organisation’s or business objectives. To effectively recruit an employee you need a process, something that you can replicate, follow and track. Data collection and analysis are key to ensuring you follow and improve your processes so that you get the best candidates for your next hire. To effectively recruit an employee you need a simple, sustainable process that you can track and analyse. We have included what happens after the successful candidate has become an employee as their induction, development and retention are as equally important as the cost of a bad hire is a lot higher than simply the cost of the recruitment process. The wrong person in a senior role can do serious damage to a business or organisation. With smaller workforces having to do more, effective communication and collaboration within your workforce is critical. This means that they all need to buy into and live the shared values of the business. This means that before you hire the next person your organisation needs to have clearly defined its values. One word of caution, if you have a more intense work environment be careful not to discriminate those who may have disabilities or domestic pressures that mean that they can’t take part, e.g. physical sports or after hours drinks in the bar. Ensure that the values you espouse to are inclusive. It’s worth noting that most people go to work to live and not live to work. The process to effectively recruit an employee starts long before the actual recruitment process starts. You need to be clear on what you are trying to achieve in your business or organisation. Think about what the job needs to achieve. It costs approximately double somebody’s salary to employ somebody as there are a lot of hidden costs including pensions, National Insurance, space and equipment for them to do their job etc. You need to ensure they will contribute more than the cost of employing them. Do you need to do the tasks that have been identified? Have you removed wasted time and effort from those tasks? Can the tasks be automated? Can the tasks be outsourced? Is this an opportunity to develop the skills of a member of your existing team? What jobs or career opportunities might be available for them to develop into? What values do they need in order to fit into the culture? From this exercise you should be able to put together a job description and person specification. Job title length: The job title needs to be long enough to describe the job and be less than 60 characters so that it can be found in its entirety by the search engines. Be specific: Don’t use acronyms and use industry specific terms which candidates would use to look for a new role. Description length: The search engines love content. Try to use up to 500-600 words in order to get found and for the reader to have a clear understanding of what to expect. Scannable: With so much information out there, potential candidates will scan read your job description. Avoid long, wordy paragraphs and use bullet points where appropriate. Company description: It’s very important for potential candidates to learn about your organisation, your values and what it’s like to work there. Regularly check Glassdoor to ensure there are good reviews on there about your company. Salary: Money is an important motivator when applying for a job. Ensure the information is near the top of your posting in order to increase its success. Mobile: Most people search using a mobile device. Ensure your recruitment process works well on mobile. Completion time: When applying on line, try to minimise the completion time and best practice appears to be a maximum of 15 minutes to submit the initial application. You can always request more information prior to the interview. You now know what the successful candidate will be doing. In order to find the right person you need to know what you are looking for. The person specification is if you like the CV of the perfect person. The incoming CVs need to be measured against the person spec. Finding the best possible people who can fit within your culture and contribute to your organization is a real challenge. Marketing is playing a bigger role in recruiting hard to find candidates as it has now gone beyond simply putting a job advert out and waiting for the CVs to roll in. You need to maximise what you are able to offer in order to attract the best in a competitive market place. You then need to consider which job platforms will attract the best candidates. This is a very competitive area and given the costs involved you need to research and test each one with pilots before committing to larger campaigns. The obvious route is to use a recruitment agency. However, as KUB is a hybrid agency, we very much believe in the client doing as much or as little as they want. This article is all about helping you to help yourself and so we will look at the alternatives to using a recruitment agency. The first thing you need to consider is do you have a number of positions to fill over a period of time due to growth or higher staff turnover due to the nature of your sector? Or is it a one-off recruitment? Search engine friendly micro-employer website (website dedicated to just your recruitment). Content strategy for the micro-site and social media. Applicant Tracking System (we recommend Recruitee.com ). Build a talent pool in the applicant tracking system so that you can re-advertise to them in the future. Embedded Job Advert from your applicant tracking system on your website. Initial screening questions (set within the applicant tracking system) to reduce the “noise” of unwanted candidates. An applicant tracking system that posts to Google for Jobs and Indeed & other free job boards where appropriate. Facebook & Messenger Advertising for skilled and non-professional positions. LinkedIn head hunting (directly approach candidates in employed roles) for professional roles. Paid Job Boards where the role is particularly hard to fill. Links to Universities and Colleges where appropriate. Visit professional association meetings and conferences where potential candidates might attend. Offer a finder’s fee or additional perks such as weekend break etc for employees who find a successful candidate. Advertise it on your website. Ensure the website has a good description of the company, its mission and most importantly its values. Free and paid job boards – ensure the job advert appears on Google for Jobs and Indeed. Use the Indeed built-in applicant tracking system. For professional roles, use of LinkedIn to directly approach 3rd parties (best left to an agency so that you don’t upset your competition). Use Social Media such as Facebook with paid Boosts/Advertising. In either case, your social media and overall marketing should be positioning you as a great employer. Think of Richard Branson’s latest statement that Virgin put their employees first. Because if you do that, happy and trained staff will do a great job for your customers. Customers like to know that you truly value your staff because they inherently know that they will also be looked after. In addition, don’t forget to look at whether you have somebody internally who could be developed to fit the role. I have seen production staff successfully move in to sales and equally technical staff more into pre-sales roles. Some organisations have a rule that all positions should be advertised internally first. Moreover, there is also a good argument for bringing in new blood so that the organisation doesn’t become stale. Finally, in either case, highlight any additional benefits/perks you offer. Look at benefits such as private medical insurance, flexibility and formal development programmes so that they can see progression. You now have your marketing in place and the candidates start to apply. This is where an applicant tracking system can be really useful because you can easily track where the applicants have come from and then easily manage them through the system. For some roles its useful to have online screening questions in order to filter out the completely inappropriate applications and so make the process more efficient. With digital techniques, if they are integrated properly then you should be able to identify what is working and what isn’t so that you don’t waste the marketing spend and so minimise the cost of acquiring the applicants. With current employment legislation it is important that you can demonstrate due diligence in your recruitment process. 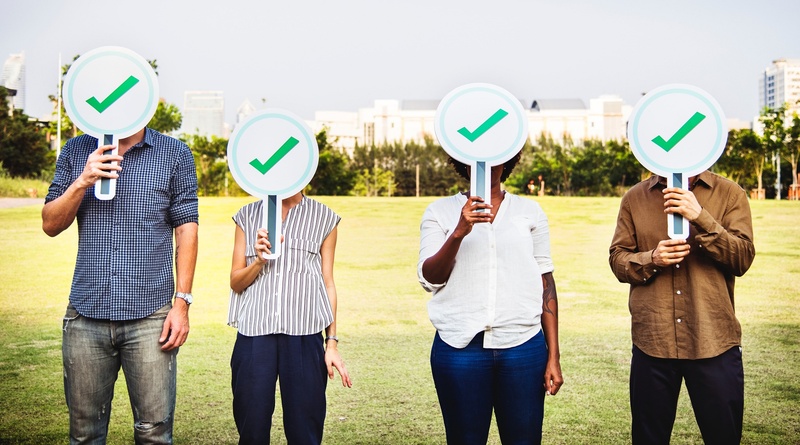 Break it down into stages and whether using an applicant tracking system or a paper based on that you can demonstrate why candidates have been rejected. Ensure that your processes don’t discriminate and that you are genuinely selecting the best candidate for the job. During the interview make sure you ask the same questions to each of the candidates and make notes of the answers. Typically, it’s worth creating a form with the questions with blank spaces for you to write down the answers. Make sure that you ask candidates whether they need any “reasonable adjustments” so that they can attend the interview so that you don’t discriminate against people with disabilities. There is a lot of guidance on the internet and in books that go into a lot more detail of what makes a successful interview. Ensure you request and follow-up on references. From experience, even a mediocre sales person can at least sell themselves. You need to ensure that the selected person is who they say they are. For more information, go to: What is a good candidate selection process? You have now selected a candidate to fill the role. What a lot of companies often forget is the induction process. This is your chance to impress your new member of the team. So often the new start turns up and nothing has been prepared in advance. This is so dispiriting for the new person. They must wonder what they have got themselves into. A formal induction process is important. 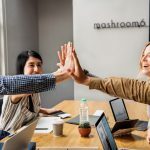 It should be a checklist of everything that needs to be covered during the first few weeks so that the new employee feels welcome and they can quickly get up to speed and contribute sooner rather than later. For retail shaving a few weeks off the induction period can get them to break-even point sooner. Clearly, these are just headlines but a quick search of the Internet will give you examples that you can modify for your organisation. The world or work is continually changing and as technology transforms areas of our lives it is important that employees at all levels in the business are developed so that they can maximise their potential. Own the challenge of developing your team. Look at how you can help to develop others in the organisation who are outside of your remit. Collaborate with others in the organisation. Support experiential learning where people learn whilst they work as generally its more effective than being taught in a classroom. Create an individual development plan. Set up informal career development opportunities. Make sure your employees own their learning and their career path. Your ability to cultivate talent can have a great impact on them, as well as on your own reputation and effectiveness as a leader. Make developing your team a core part of your job. Look for ways to support your team in their efforts to learn and grow. Hold your team members accountable for their own development. Develop successors who can take on your job. Ensure that your employees’ development plans include on-the-job experiences. Make a point of identifying stretch assignments for each of your direct reports. Give assignments or experiences to help them develop specific competencies. Consider the development opportunities a particular assignment could provide when making decisions about how to staff key projects. Support employees who seek growth experiences outside the workplace (i.e. in community or professional organizations). Have conversations about what they’re learning from their experiences. With skills shortages in many industries then it is becoming more important to ensure that employees are retained and developed. They often say that employees join the company for the job and leave because of their manager. 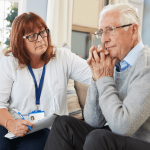 There are other reasons such as a spouse relocating and ill health but these are not under your control. Monitor your staff turnover and ensure you carry out exit interviews when somebody leaves. Implement any changes if required following the feedback. The increasing cost of recruitment means that more attention needs to be given to employee retention within organisations and businesses. More and more organisations carry out internal employee surveys to catch issues before they damage the organisation. 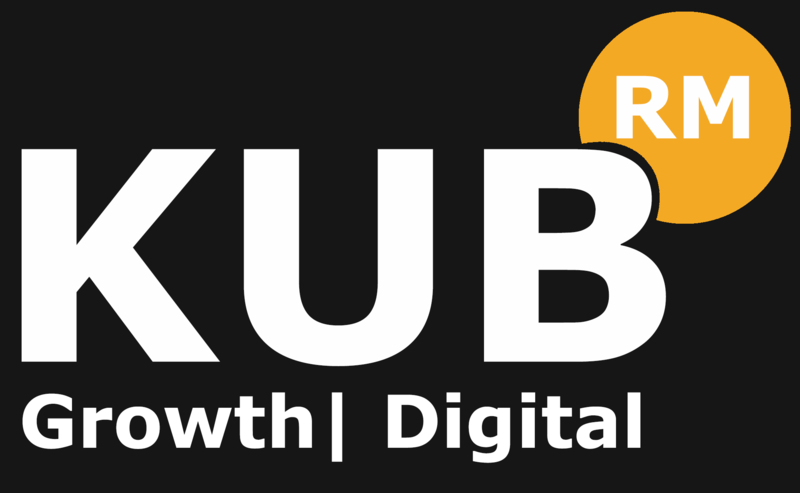 KUB Recruitment Marketing. We are a hybrid digital marketing agency and so we can do your recruitment marketing for you or help you do it for yourself. Please feel free to contact us for a chat in confidence on 0345 053 7417. What is a Good Candidate Selection Process?